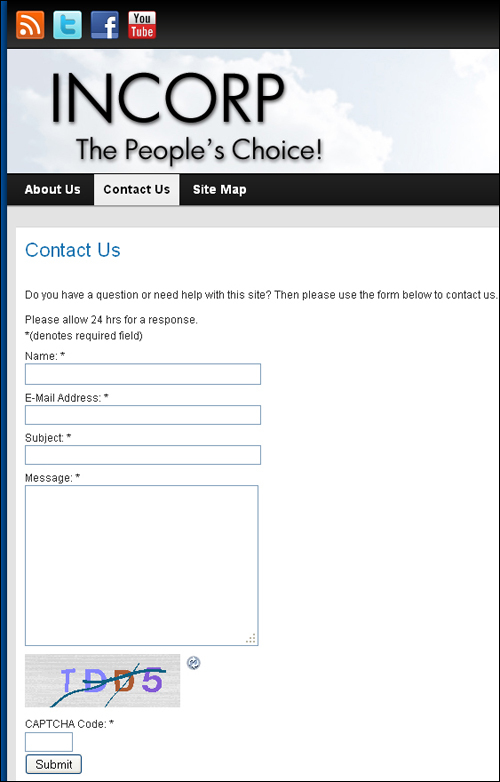 Adding a contact form to your site allows visitors and prospective new customers to contact you if they have questions, concerns or problems. 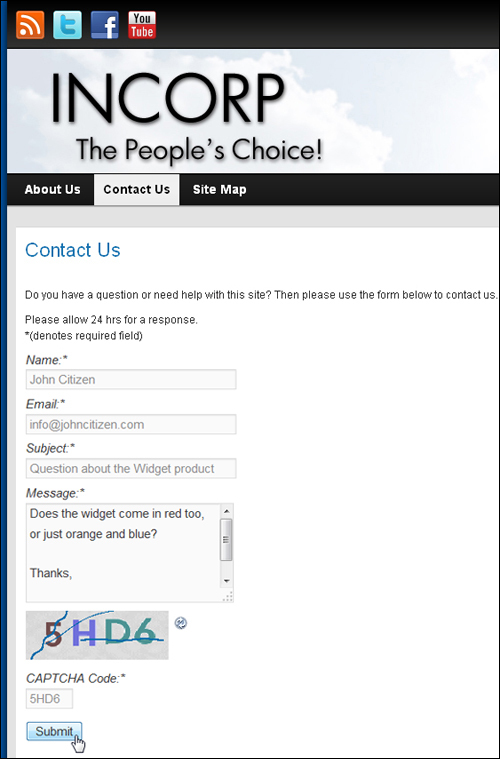 A contact form also encourages more visitor interaction on your site, builds trust, and allows you to generate new leads and inquiries for your products and services. 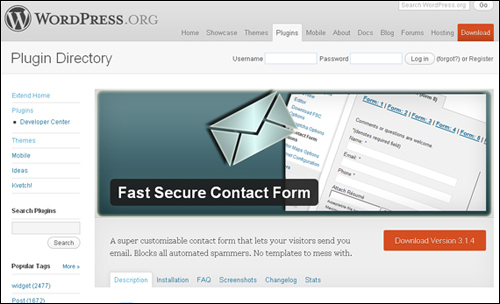 In this tutorial, we show you how to install a contact form into your site’s “Contact Us” page using a FREE WordPress plugin called Fast Secure Contact Form. 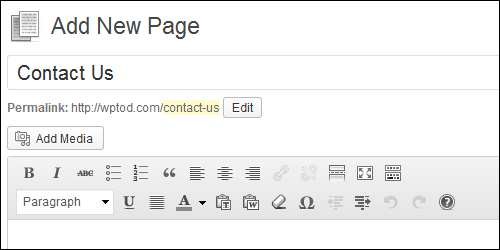 This plugin lets you easily create and add contact forms to WordPress. 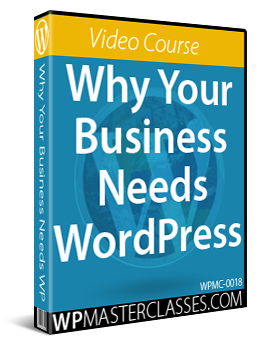 The contact form will let your site visitors email you and even send a meeting request to talk with you over phone or video. 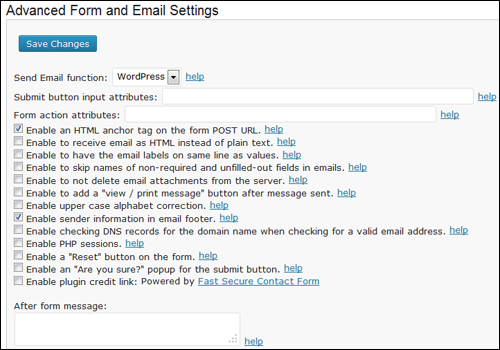 This tutorial focuses on showing you how to set up a contact form on your WordPress site using a plugin. 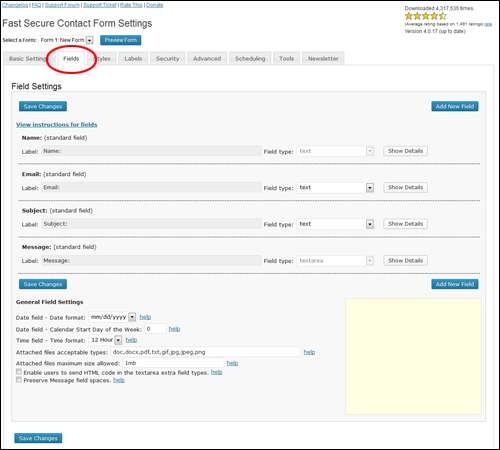 It is not meant to provide a detailed user manual covering every aspect of the Fast Secure Contact Form plugin used in this tutorial. 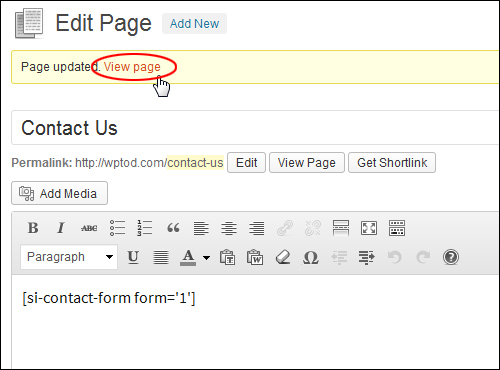 We’ll come back to this page after configuring your contact form settings. 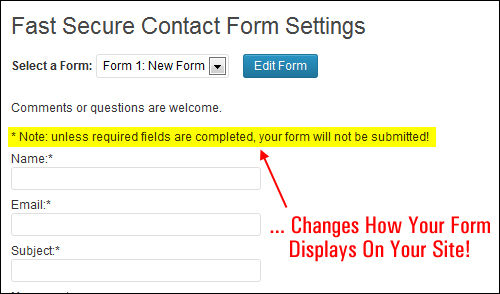 Now, let’s start configuring your contact form settings. 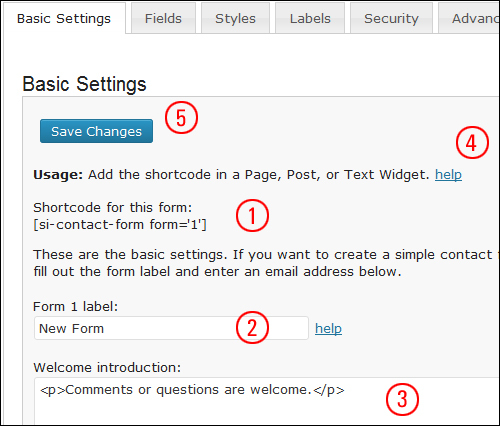 Shortcode for this form: This is the shortcode that you will need to insert into your ‘Contact’ page (or anywhere else in your site where you want this contact form to display). Form 1 label: Enter a name for your form here. This is not visible to users, it just helps you keep track of what you are using the form for. You can also include this label in the subject line of your contact form submissions (see section below). Help – Click on the ‘help’ links if you need help with any of the configuration settings. Save Changes – Click on the ‘Save Changes’ button as you configure the settings for each tab and remember to save as you go. 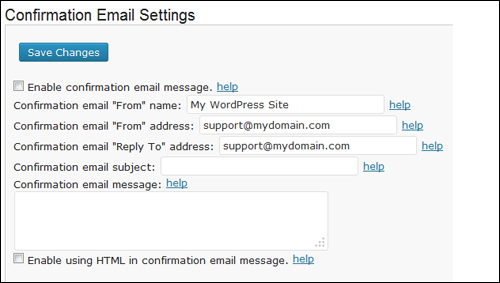 The plugin will automatically add the email address specified in the WordPress General Settings section to the ‘Email To:’ field, but you can replace this email with any email address you want messages from this form sent to. 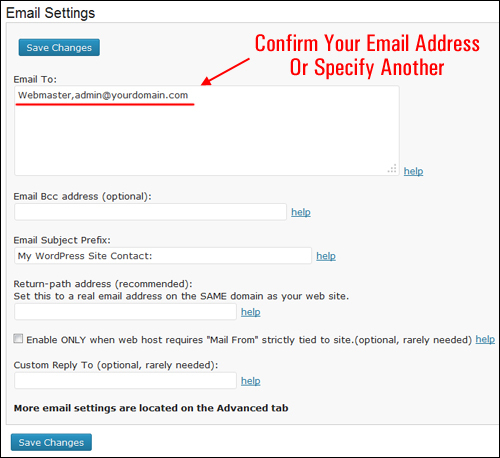 Similarly, you can change the ‘Webmaster’ salutation in the ‘Email To:’ field to whatever you want (e.g. ‘Bob Smith’, ‘Sales Dept’, etc …). Just remember to keep the format in this field (i.e. 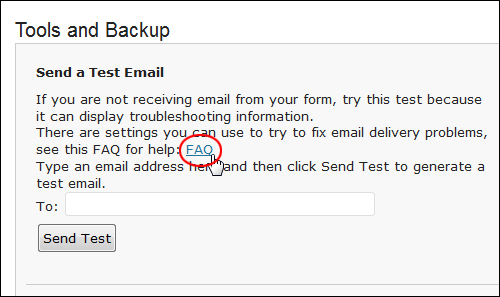 separate recipient and email address with a comma). [from_name] – Include the name of the form sender in the subject line. [from_email] – Include the sender’s email address in the subject line. 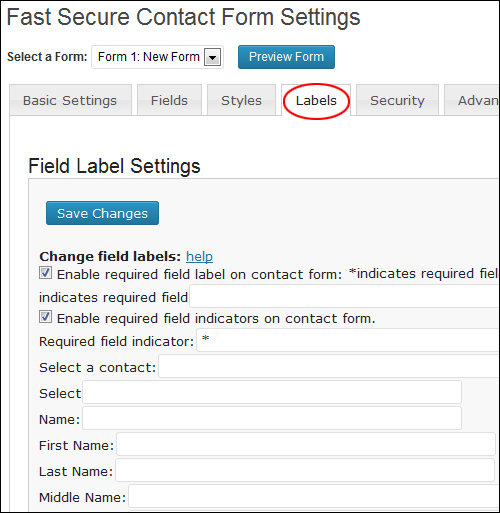 [form_label] – Include the name of your form in the subject line. 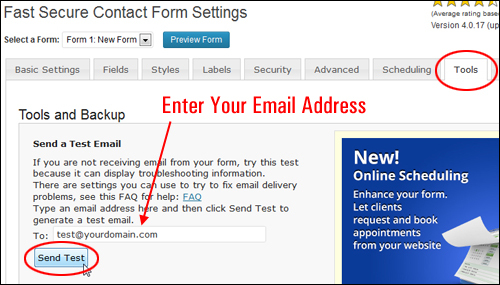 If your form does not send any email, enter your site email address, then test the form again. 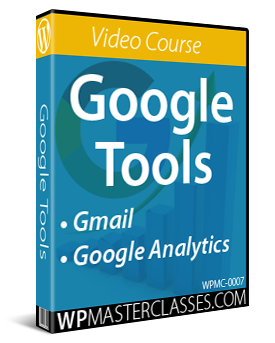 This setting is required by Dreamhost, GoDaddy, many others, and is also recommended for gmail users to prevent email from going to spam folder. For best results the “Email To” and the “Return-path address” should be separate email addresses on the SAME DOMAIN as your web site. 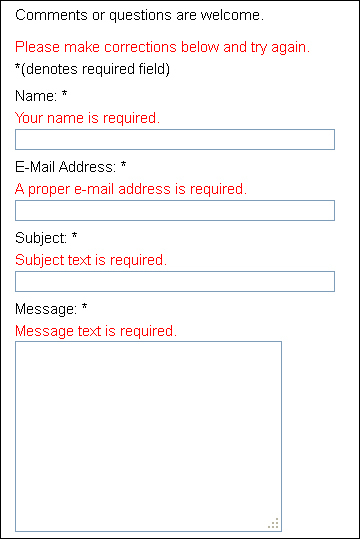 Enter a return-path email address into this field. Rearrange the order in which fields display on the form. Specify which fields are required (i.e. 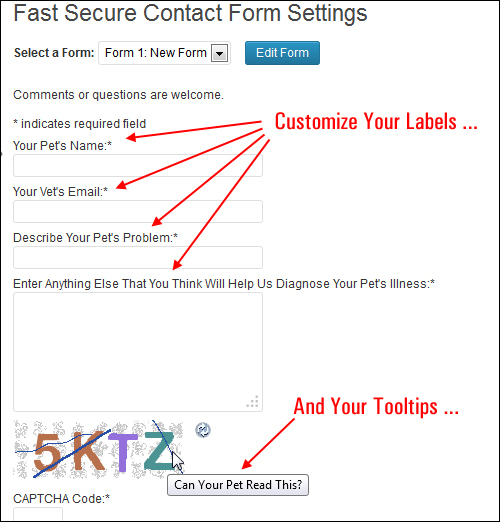 the contact form will not be submitted unless the required fields are completed). 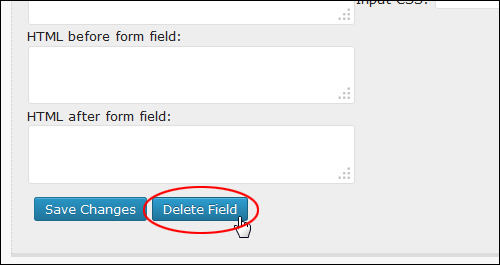 Edit the field and the field details then click Save Changes to add the new field to your form. 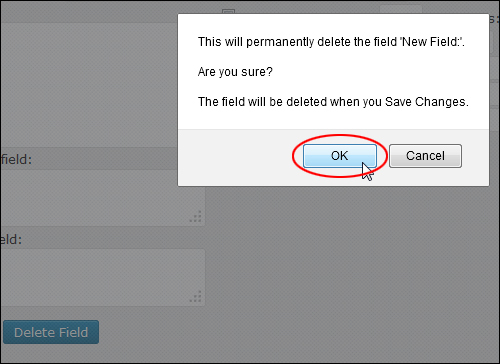 The field will be permanently deleted when you save your changes. Leave the default settings for this section, or configure these to suit your needs. 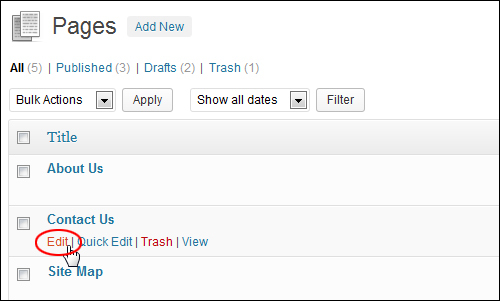 Acceptable file types that users can upload and send to you as an attachment (e.g. screenshot images and pdf documents). 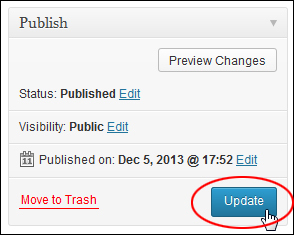 Any file type not listed in this section will be rejected. Maximum size allowed for attachments. Whether or not form users can format their message using HTML tags (e.g. 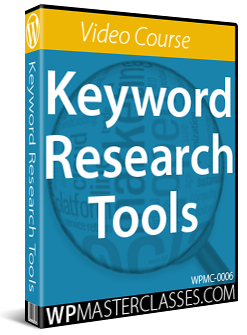 bold or italicize words, enter clickable hyperlinks, etc.). This setting is disabled by default for security purposes. 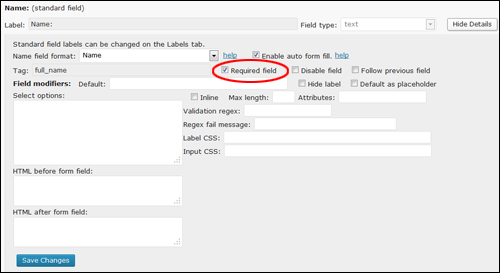 Enable this option only if you want users to be able to send HTML code in the textarea extra field types. HTML code allowed will be filtered and limited to only a few safe tags. Whether or not to remove white spaces in the message field. Normally white space is removed, but you can opt to preserve it. Unless you need to configure the settings in this section, use the default settings and continue to the next section. 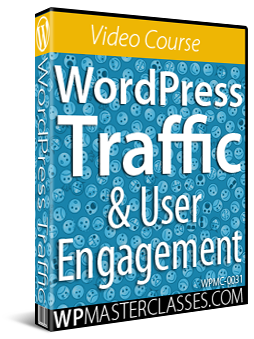 Like all other aspects of this plugin, extensive help and information is provided about each of the options in this section. 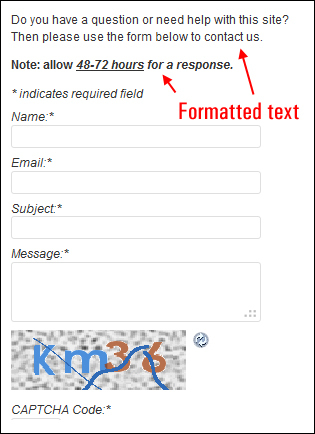 A CAPTCHA form (Completely Automated Public Turing Test To Tell Computers And Humans Apart) prevents automated spam bots and form-filling robots from using the contact form to send you spam by requiring that the user pass a test that only humans can pass before the form can be submitted. You can enable or disable the CAPTCHA form, make the CAPTCHA image smaller, hide it for registered users and enable a hidden spambot trap. 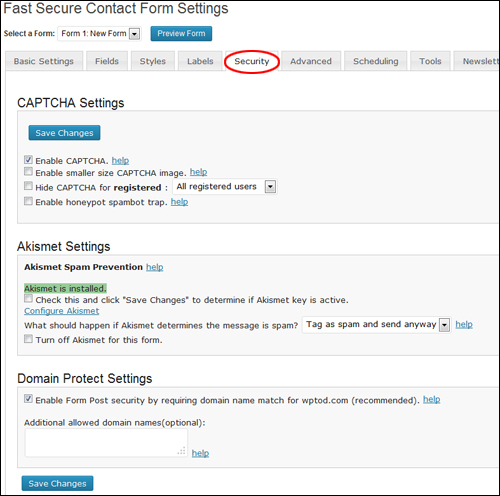 The form also uses Akismet to help prevent spam when the Akismet plugin is installed and activated on your site. 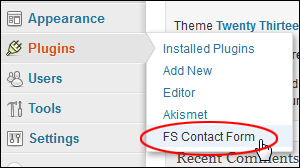 You can turn this setting on or off and specify what to do if Akismet identifies contact form submissions as being SPAM. 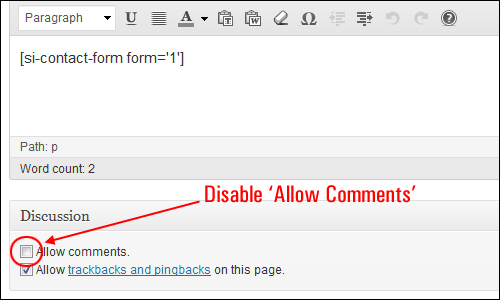 This section helps to prevent automated spam bots posting from off-site forms. If you have multiple domains for your site, list the additional names in the ‘Additional allowed domain names(optional):’ text area. You can configure all parameters of your confirmation email: “From” name, “From” address, “Reply To” address, email subject, and your email message. 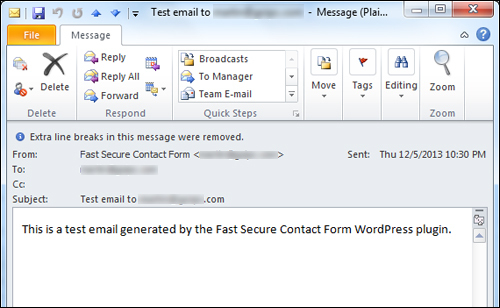 You can also send formatted email messages by enabling the use of HTML in your confirmation email message. 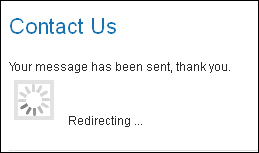 You can specify a delay in seconds for the redirection to occur. You can also send posted data to the redirected URL. This is useful if you want to add the user data to another form or script on the redirected URL. Click on the ‘help’ links next to the each of the options to learn more about what these settings mean. 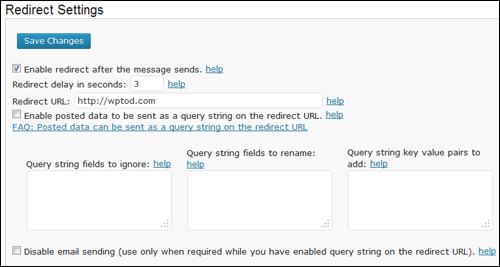 This option can be used for a third party service such as a mailing list API. 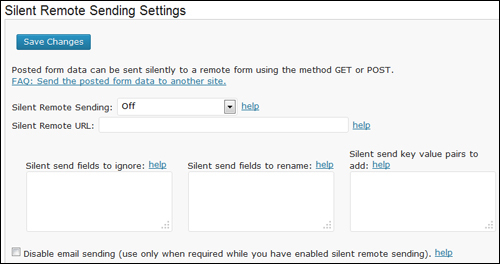 Select method GET or POST based on the remote API requirement (refer to the help links in this section for more information). 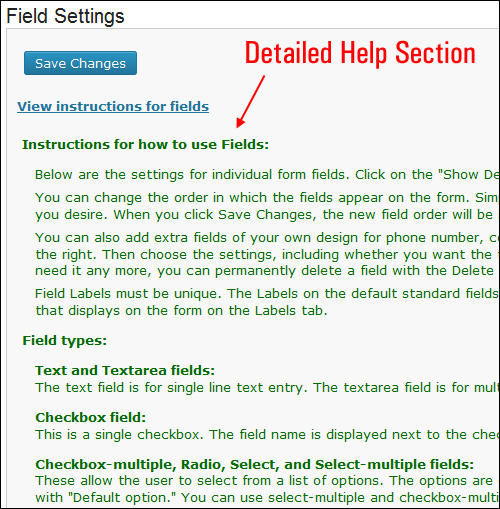 Refer to the help links for more information on configuring this section. You don’t need to configure anything else after the ‘Advanced’ section. The remaining tabs contain optional features, tools and add-ons to the plugin (see ‘Additional Plugin Information’ section further below). 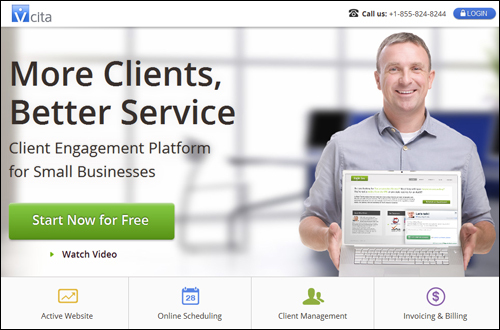 The next step is to create your Contact page. Go back to your plugin settings if you need to make any changes. Edit, adjust, save and preview your form until you’re happy with the way your form looks. When you have finished configuring your contact form, the next step is to test to make sure that everything is working correctly. The first test is to make sure that the plugin has been configured correctly. 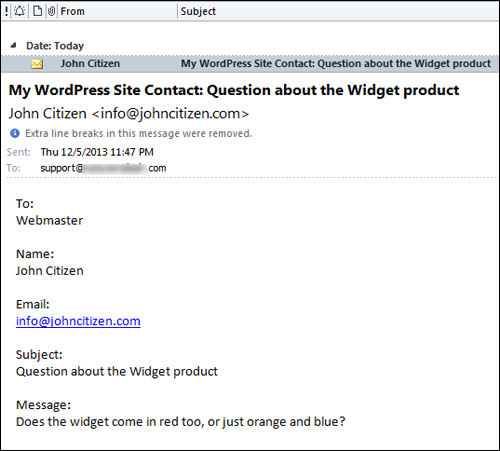 A test email will be sent by the plugin, and you should receive it in your email inbox shortly afterwards. 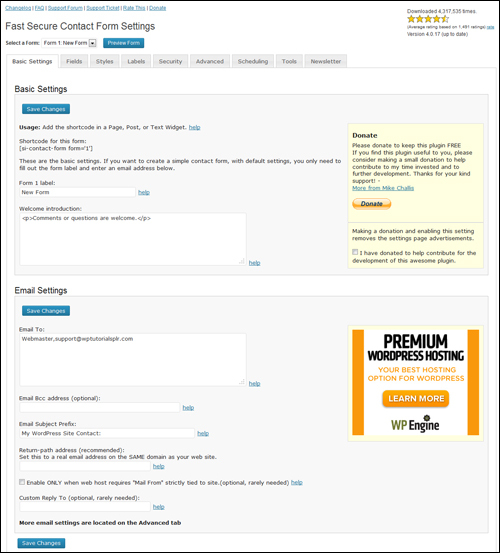 After sending a test email from the plugin, the next step is to go through the form submission process itself. You want to submit an enquiry from your ‘Contact’ page using your browser, just like your visitors will when trying to contact you. Tip: It’s also a good idea to test what happens if errors are made when submitting your form. 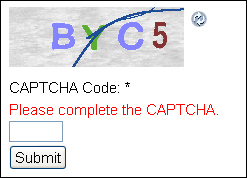 As with the required contact form fields, if you do not enter or solve the CAPTCHA security code correctly, the form will not be submitted and a message will be displayed asking you to enter or retry the CAPTCHA. 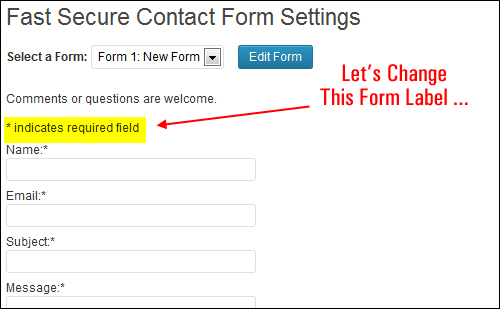 When you are satisfied that your contact form works correctly, you have completed setting up the form. Visitors will now be able to contact you for questions or support. 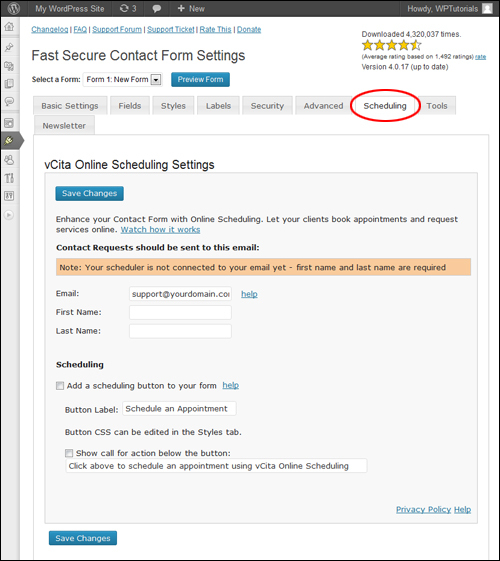 vCita online scheduling software allows potential and existing clients to schedule a consultation, an appointment or a service instantly, on any device and with selected staff members, based on their up-to-date availability. If you do not plan to offer web-based video or phone conferencing options via your contact form, then ignore this section. 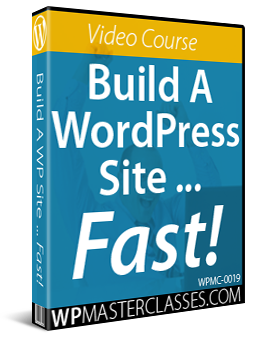 This section contains a number of tools that let you perform various administrative plugin functions. Once this integration has been set up, when forms get submitted, your contacts will be automatically added to a Constant Contact email newsletter, allowing you to stay in touch with your prospects and customers. 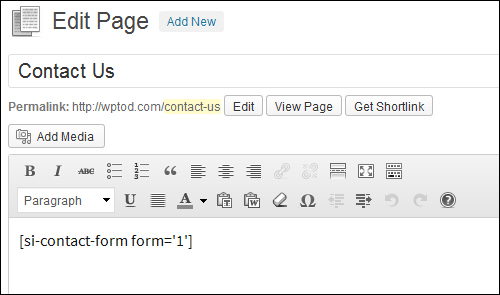 WordPress makes available a number of contact form plugins you can use. 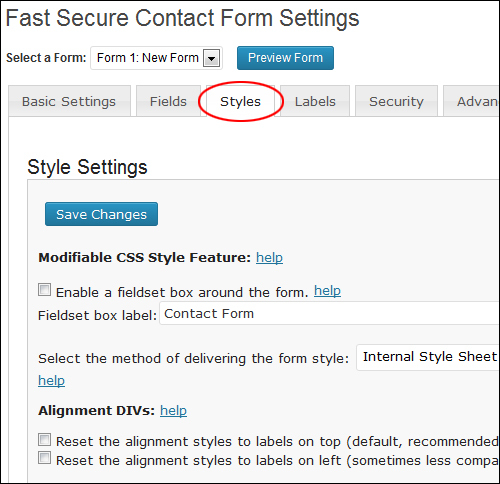 With over 1 million downloads, Contact Form 7 is one of the most popular contact form plugins available for WordPress users. 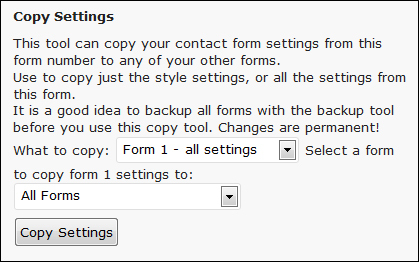 Contact Form 7 is a flexible plugin that lets you manage multiple contact forms with easy form customization features and support for 3rd-party plugins that can significantly extend its functionality. 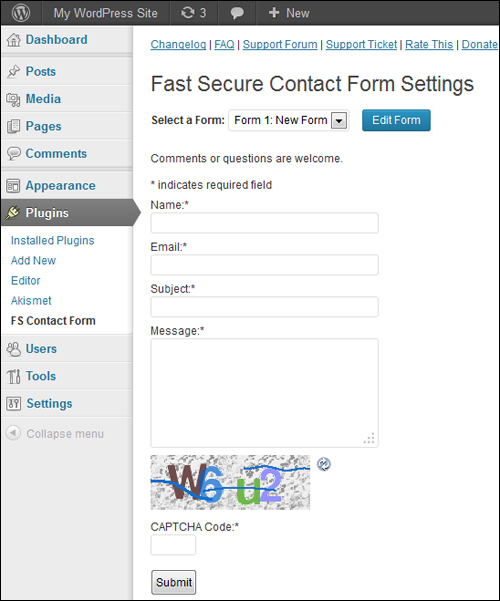 Contact Form 7 supports Ajax-powered submitting, CAPTCHA, Akismet spam filtering and many additional features. Congratulations! 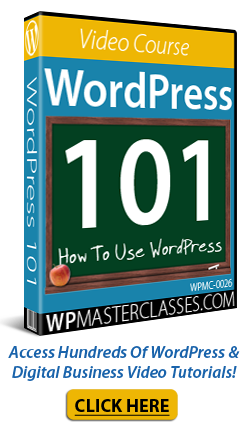 Now you know how to add a contact form to your WordPress site.